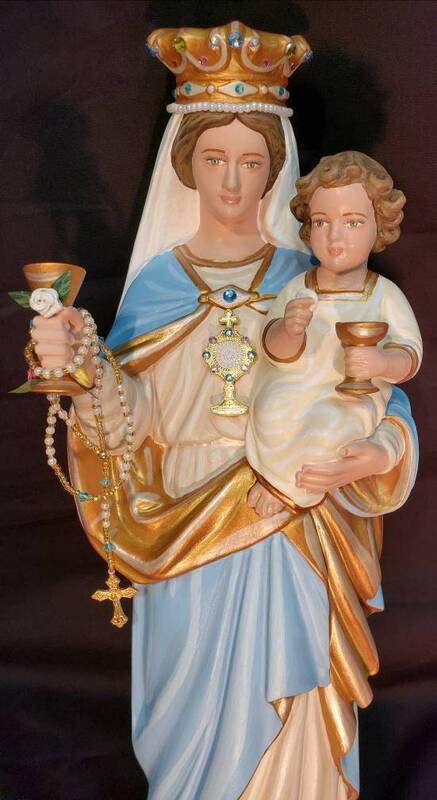 - The Body and Blood of our Lord given to us by Him and offered through His most holy Mother, Mary. - Title of honor to Mary by St. Julian Eymard. This rare, one-of-a-kind two-figure statue features hand painted faces and details such as fingernails and eyelashes. Our Lady holds the Infant in one hand, who offers His veiled Body to us in the Host rising from inside the ciborium. 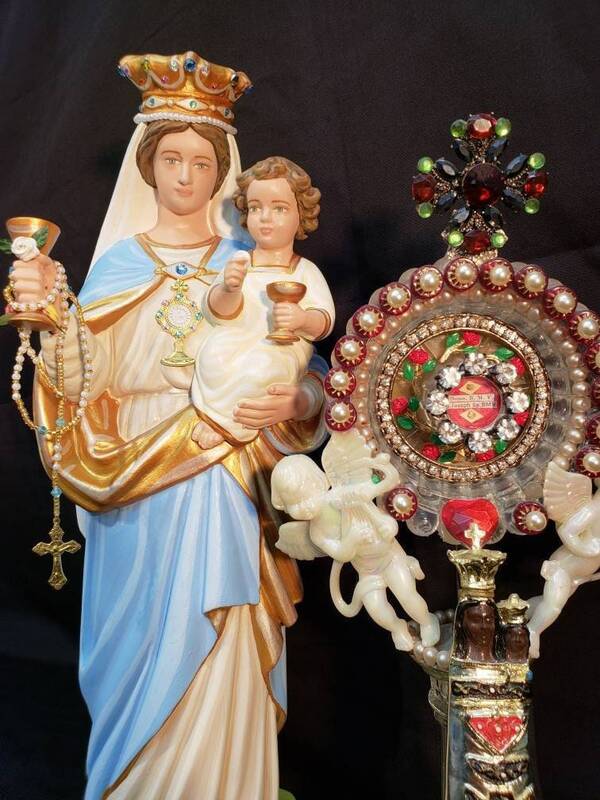 In her other hand, Our Lady offers us the Chalice of her Son’s Most Precious Blood, together with her rosary . Three roses indicate the three divine persons of the Holy Trinity. Bejeweled crowns and metal monstrance complete this very special statue. 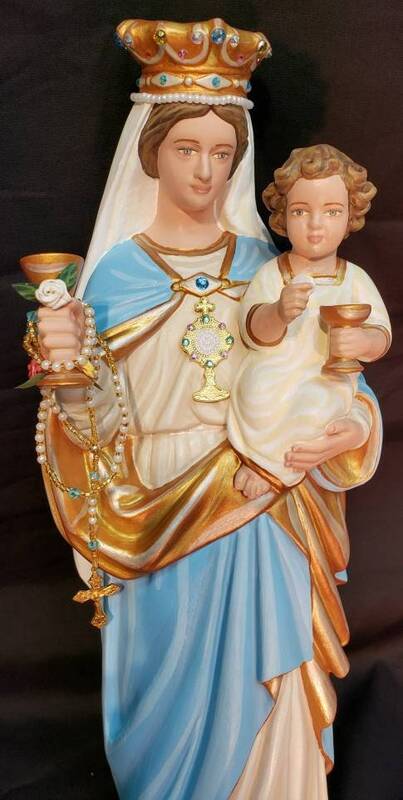 Your statue will also be touched to relics associated to Mary. Note: All our statues are made to order and handmade in the USA. Please allow 5-10 weeks for us to make and ship your beautiful statue.